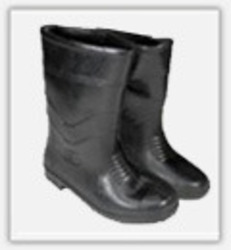 We Offer a wide range of Foot Protection Shoes. we offer of quality material that is resistant to shocks, abrasion, oil, heat, chemicals and other hazardous external elements. Further, these shoes are offered in varied sizes to meet the diverse requirements of the clients. Impact Fire And Safety Appliances Pvt Ltd.
We are an ISO 9001 & ISO 14001 certified Indian fire safety company with certification and affiliate membership from world's leading institutions including UL (USA), ULC (CANADA), CE (EUROPE), BIS (INDIA). At Impact, we are committed to provide cost effective fire safety equipment with an objective to safeguard our fellow citizens from the devastating effects of fire. Over a period of more than a decade, we have established ourselves in India and overseas as a prominent supplier and installer of fire safety products including Fire Extinguishers, Fire Sprinklers, Fire blankets, Fire Alarms, Fire Fighting accessories, Electronic Security etc. We firmly believe in our policy of continuously delivering products and services that meet the quality, performance and price aspirations of our customers while maintaining highest standards of ethics, honesty, trust and cooperation in business. We have a base of more than 50000 direct users across the length and breadth of the country. Our services are available all across India through our own offices in major cities and a network of business associates. Our export division is involved in supplies to other parts of the world including middle east, Africa and Asia. All products comply with the international quality standards and work standards of ISO 9001 and ISO 14001.